The House Education Committee introduced a new bill Tuesday to make state funding available to nontraditional teacher preparation programs, such as Teach for America. Lobbyist Blake Youde pushed for House Bill 93 on behalf of TFA. Although House Education voted to introduce the bill, legislators raised several questions about diverting state funding to a nonprofit such as TFA. The State Board of Education must approve the nontraditional program. The program must have a contract with a school district, charter school or consortium of schools to recruit or retain teachers. The prep program must have “a documented history” of recruiting and retaining teachers. The nontraditional program must match any state funds by at least 100 percent. Youde pushed for the bill a day after Idaho Executive Director Tony Ashton told House Education that TFA has expanded its footprint in Idaho since its 2015 launch. “We saw this great presentation showing how teacher certification programs can work with local school districts to fill high-need positions,” Youde said. While Youde said the bill gives the schools one more tool for addressing teacher staffing and retention issues, legislators asked several questions. “Why, when programs are working well right now, why do we want to bring state funding into the mix?” asked Rep. Gary Marshall, R-Idaho Falls. Youde said state funding would show Idaho is “a willing partner in this relationship” and acknowledge the role alternative prep programs have in addressing teacher pipeline issues. “Will this legislation change or lower standards for what it takes to become a teacher in Idaho?” asked Rep. Steve Berch, D-Boise. Rather than following a traditional program, TFA recruits recent college graduates and places them in intensive, five-week teacher training programs before assigning them to classrooms. Youde said it would not lower the bar because the State Board would still need to approve the program. House Education’s vote represents this first step in the bill’s legislative journey. The next step would be a full hearing in committee. TFA accounts for a tiny fraction of Idaho teachers. Out of more than 17,000 teachers statewide, TFA has placed 40 teachers in seven school districts this year. State Department of Education data show that 5.5 percent of all teachers in worked under an alternative authorization in 2017-18. It’s still early, but more Idaho high school seniors have applied for college financial aid than their predecessors. This year, more than 8,100 seniors have filled out the Free Application for Federal Student Aid, according to the State Board of Education’s website. By contrast, 7,650 seniors filled out the application a year ago. Byron Yankey of the State Board reported the FAFSA application increase to the Senate Education Committee Tuesday. The FAFSA is pivotal, because it enables seniors to apply for federal grants, loans and work-study jobs. It’s also a requirement for the state’s Opportunity Scholarship. Idaho’s FAFSA completion rates are among the lowest in the nation — although they have shown signs of improvement. The State Board presented a walkthrough on several programs designed to encourage students to consider their options beyond high school. So far this year, more than 11,200 students have applied to college, for free, at the board’s Next Steps Idaho website. Last fall, Yankey said, more than 22,000 seniors received “direct admissions” letters from the State Board, telling them they had been pre-approved to some or all of the state’s colleges and universities. But at one point Tuesday, committee Chairman Dean Mortimer put the committee’s page on the spot, asking about the direct admissions letter. Olivia Love, an Eagle High School senior, said the letter encouraged her to complete her application to Boise State University, but she said the letters tend to come late in the college search process. Yankey noted that colleges are stepping up their recruiting to high school juniors, and suggested the State Board could follow suit. “It’s always an ongoing conversation to sit how we can get all the moving parts to fit together,” he said. The Joint Finance-Appropriations Committee is quickly moving from budget hearings to writing budget bills. And the biggest budget of them all — the K-12 budget — is one of the first items on the to-do list for the Legislature’s budget committee. 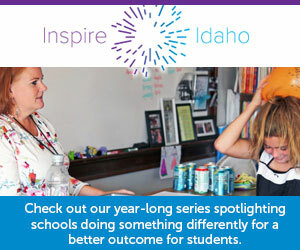 Monday, Feb. 18: Public schools; Idaho School for the Deaf and the Blind. Wednesday, Feb. 20: Career-technical education; State Board of Education; STEM Action Center. Monday, Feb. 25: State superintendent Sherri Ybarra’s departmental budget (a separate item from the K-12 budgets). Tuesday, Feb. 26: Colleges and universities. Tuesday, March 5: Community colleges. Once the budget bills pass JFAC, they must go to the House and the Senate for approval, before going to Gov. Brad Little’s desk.